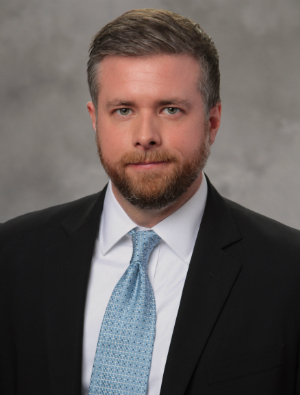 Kevin E. Regan is a Registered Patent Attorney with a broad range of legal and regulatory experience from his time in private practice and government service. He assists alcoholic beverage and intellectual property clients with patent litigation, trademark registration and disputes, and other legal and regulatory issues. Kevin is dedicated to assisting the growth and development of the Northwest’s alcoholic beverage industry. He frequently assists wineries, wine-grape growers, breweries, cideries, distilleries, and associated businesses with their various legal needs. He has helped with trademark law and brand development, regulatory issues, governmental affairs (including American Viticultural Area issues), entity formation and corporate law, securities and financing, real estate, mergers and acquisitions, and litigation. Kevin has spent considerable time meeting with representatives of alcoholic beverage industries throughout Washington, Oregon, and California. Kevin has also assisted with production at several wineries and a distillery in order to better understand these industries. This hands-on experience gave Kevin an appreciation for the complex set of regulatory and business problems that producers and growers must confront daily. In private practice, Kevin has worked at a large Seattle law firm and also at intellectual property boutique law firms. He has worked with patent litigation and trademark law in federal courts and before the U.S. Patent and Trademark Office. Kevin was also an associate attorney for Earthjustice (a national environmental litigation law firm) in Seattle, where he represented clients before federal and state courts and administrative agencies. In government service, Kevin began his legal career as an attorney for the U.S. Army Corps of Engineers in Chicago, where he worked on various legal issues, including regulatory enforcement. He then clerked for two years for U.S. District Judge Jose E. Martinez in the Southern District of Florida. While clerking, he assisted with a wide range of cases, including trademark, patent, and commercial litigation. He also assisted with numerous federal jury trials. Kevin then became a Trial Attorney at the U.S. Department of Justice in Washington, D.C., in the Environmental and Natural Resources Division. While at the Department of Justice, Kevin worked with high-stakes litigation defending the U.S. Department of the Treasury and the Department of the Interior in Native American Indian tribal trust litigation. Kevin has a background in environmental science and biology, and he participated in several National Science Foundation research programs.